There are going to be hundreds of tablets here at CES 2012, but the OLPC XO 3.0 isn't just any tablet. It's a tablet for children, and again, not just any children, but children living in some of the poorest parts of the world. 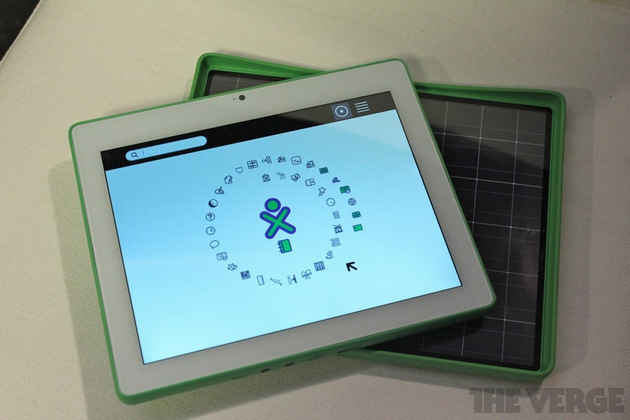 Like its XO laptop, OLPC has built an educational tablet for use in low-power locations. It's been designed for outdoor use (a PixelQi outdoor readable display, a solar panel lid, and all) and has some different software options (Android and its own Sugar OS). Of course, I'm not really the target market, but below are my first impressions of the tablet.